A stylish and high quality cap in navy blue colour. It features a buckram and pre-curved peak. On the front is a subtle and exclusive embroidered “ii” logo. 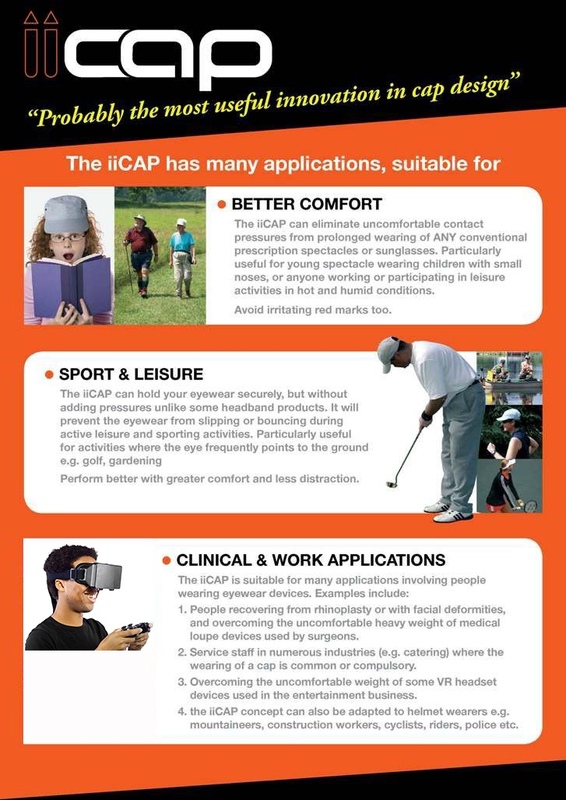 The iiCap features a discrete, integrated loop fabric lining under the peak for flexible placement of the special iiCap support system, which is included. 100% heavy brushed cotton with adjustable fabric strap and metal buckle; hence, universal fit i.e. the cap will fit most sized heads – but may not be suitable for children under 7 or people with very small heads. The cap features a buckram and pre-curved peak. On the front is a subtle and exclusive embroidered Inclusive Innovations logo. 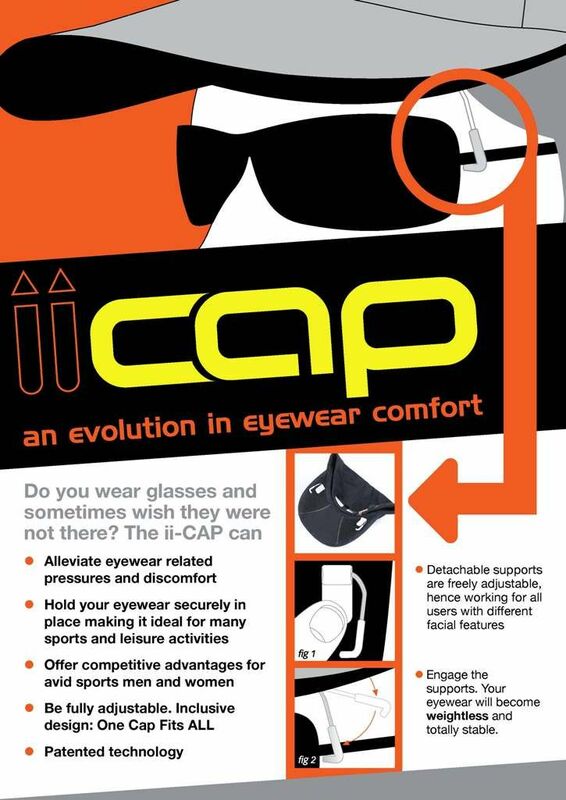 The uniquely designed iiCap support system comes as a pair of foldable clips to securely stabilise and eliminate the weight of your spectacles or sunglasses. The arm part is made of a special malleable material, while the hook part is made from high quality silicon which in combination offers best feel and functionality. 5 colour choices are available: grey, red, black, off-white and pink. Step 1: Click the 'ADD TO CART' button to buy the iiCap with the particular colour choice of the clips. This will redirect you to the Checkout page automatically. Step 2: On the Checkout page, press the yellow button that says "Check out with PayPal". This will redirect you to PayPal for secure transaction. Step 3: Then login with your PayPal account or, if you do not have a PayPal account, choose the “Pay with a debit or credit card” option.